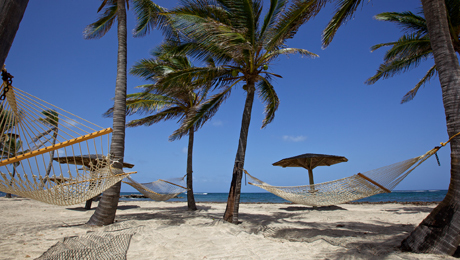 There is a beach for everyone on Nevis, from the surfer loving Windward Beach to the breeze-filled Nisbet Beach, family friendly Oualie Beach and the finely manicured Pinney’s Beach near the Four Seasons Resort. The capital of Nevis; Charlestown, maintains all of its Caribbean charm with local shops and eateries throughout and hosts a fruit & veg market on Sundays. Whether you're a spectator or participant, Nevis has a sport for you. From horse racing to mountain biking or hiking, triathlons and cross Channel swims, what better place to exert yourself than in the paradise of Nevis.